MILAN (Bloomberg) -- Fiat's Alfa Romeo division took another step toward its return to the United States after registering the brand of its 4C compact sports car, the unit's first model targeted for sale in the country in almost 20 years. 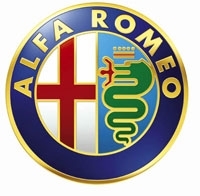 The Alfa Romeo 4C trademark, covering accessories such as clothing and toys as well as the vehicle and parts, was issued by U.S. Patent and Trademark Office on April 10, according to a release posted on the U.S. Federal News Service. Fiat CEO Sergio Marchionne said April 4 that that the rear-wheel-drive coupe will go on sale in North America by the end of 2013. Deliveries of the 4C, which will be built starting in May 2013 at a plant run by Fiat's Maserati division in Modena, Italy, will launch in Europe in the second half of next year. Fiat, which plans to make 2,500 4Cs a year, showed a concept version of the car last year at the Geneva auto show. Fiat has a target of more than doubling Alfa sales to about 400,000 vehicles in 2014 from 150,000 in 2011 with six new models, including sedans and SUVs, according to a September presentation. The 4C is part of a revamp of Alfa Romeo that will include the new Giulia sedan, which will be based on the Dodge Dart platform of Fiat-controlled Chrysler Group for a lineup developed and made in the U.S. starting in 2014, according to a person familiar with the matter. In Europe, the 4C will be priced at about 50,000 euros ($66,000), company sources told Automotive News Europe. There is no word yet on U.S. pricing. Fiat's growth strategy is centered on Alfa and Chrysler tightening cooperation. The production version of the two-seat 4C may be displayed at the 2013 Geneva show, said the person, who declined to be named as the plan is private. Marchionne wants Alfa to better compete against the world's top makers of premium cars: BMW, Audi and Mercedes-Benz. BMW Group, which includes the BMW, Mini and Rolls-Royce brands, aims to sell 2 million cars a year worldwide by 2016. Audi plans to reach 2 million in 2020 and Mercedes, including Smart, aims for 1.6 million in 2015. Developing a full range of models for Alfa and focusing on North America's car-market growth are crucial to his strategy of boosting combined revenue at Fiat and Chrysler to more than 100 billion euros ($131 billion) by 2014. 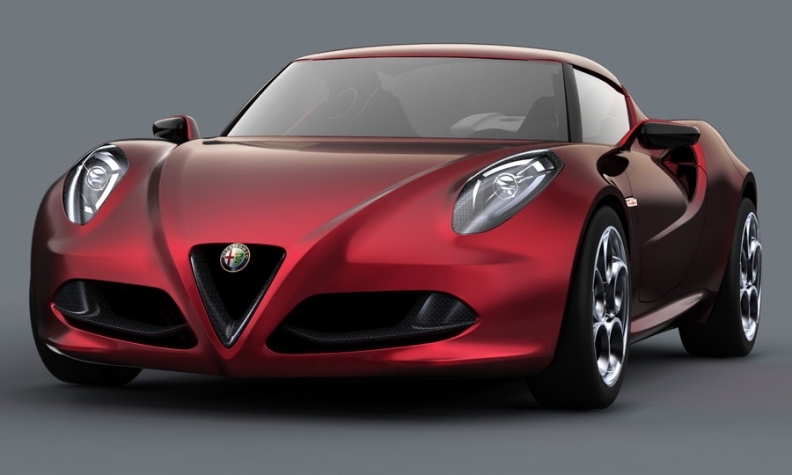 The mid-engine Alfa 4C is about 4000mm long with a 2400mm wheelbase. The car will be powered by a new aluminum 4-cylinder 1.8-liter turbocharged gasoline direct-injection engine. "The return of Alfa in the U.S. is critical for the group as a global player needs to have an upscale brand in a major market as North America," Jeff Schuster, LMC's senior vice president of forecasting in Troy, Michigan, said. "This is a real sign Alfa will come back to U.S."
Net income at Fiat in 2011 came entirely from Chrysler, which was helped by U.S. car-market expansion. Fiat's volume models lost about 500 million euros in Europe last year, and led an industrywide sales decline in the region, as the sovereign-debt crisis caused consumers to hold back on purchases. Marchionne is among carmaking executives forecasting another European contraction this year.